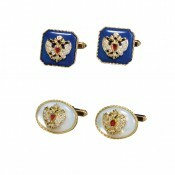 As part of the same design collection, Theo Fabergé has produced two pairs of Cufflinks. 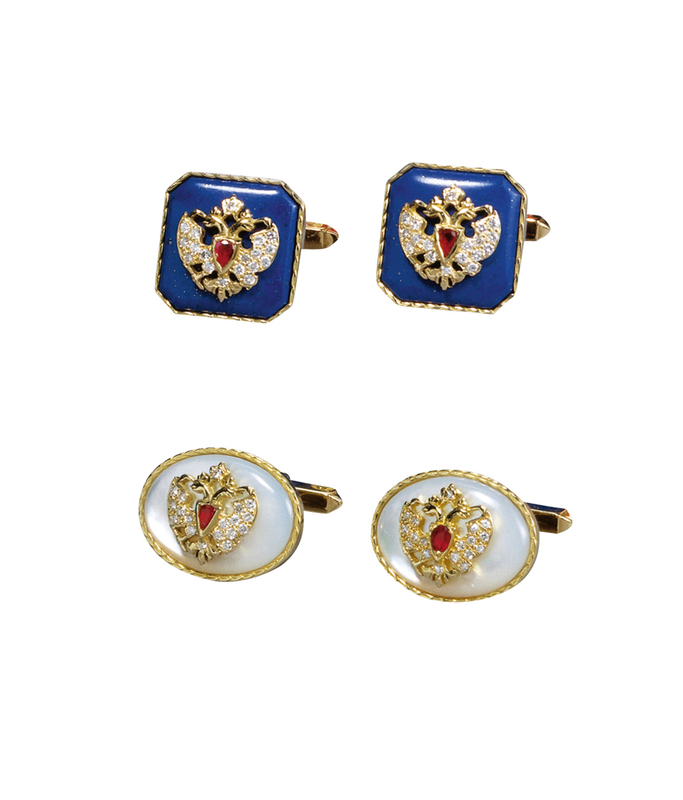 The Cufflinks of solid 18 carat gold feature the double headed eagle encrusted with rubies and diamonds on either lapis lazuli or mother of pearl. 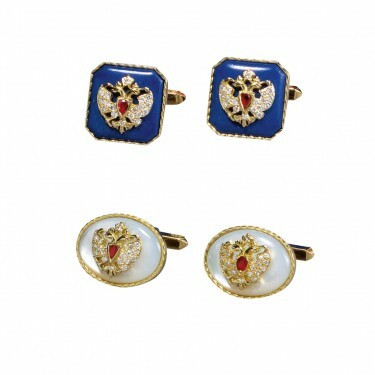 Materials: 18 carat gold, Mother of pearl, Lapis lazuli and 'Blue Enamel'.